After careful thought we have decided that, in line with many similar organisations, it would be helpful to produce an Annual Review which is free of the legal requirements of the Annual Report. It aims to provide an accessible account of the highlights and challenges of the year, plus a snapshot of financial comings and goings — a chance every year to show people the work being done and to thank the donors. It will promote and reiterate our objectives (what the Retreat is set up to do), the resources available to it, how these resources have been used and what has been achieved. This project`s purpose is to create a Spiritual Retreat enabling like-minded people who follow the timeless teachings of all Enlightened Masters to live a simple, quiet life in a loving and supportive community. Some may be visitors; others short term or longer term residents. The environment offers peace, tranquillity and a slower pace of life. 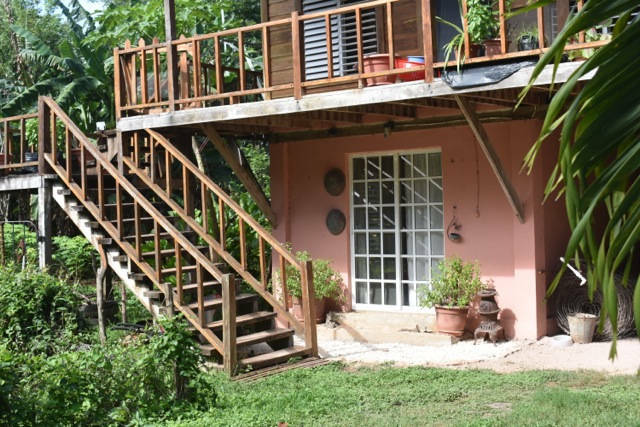 Situated on 30 acres of forest west of Corozal in northern Belize, the Retreat is off grid and utilises sustainable energy in the form of solar power to provide electricity (plus back-up generator) and rainwater harvesting provides water for the house. A well supplies water for crop irrigation. Sustainable methods of farming are used for crop growing in a cropping area and beautiful organic gardens have been created. 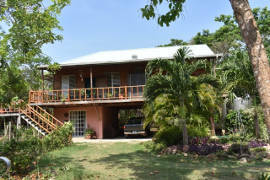 Local Belizeans are employed to help with maintenance, clearing, weeding, repairs, etc. Maya history can be found on the Retreat with a Maya well and several Maya Mounds which are awaiting further investigation. Current limiting factors to the Retreat development are, there only being two residents and funding levels. At present there are two permanent residents living in a Mennonite house on the land, with an en-suite Guest Room on the ground floor, along with lock up tool storage and parking for the Retreat’s Pick-up truck. Further houses are envisaged as more suitable people join this venture. Cabanas are also planned for shorter term visitors or guests. The Retreat aims to be financially self-supporting at a later date by commercial enterprise plus cottage industries taking place on the Retreat — away from the main housing area. Crop rotation and seed collection continues. Soil fertility is limited by lack of farm manure. 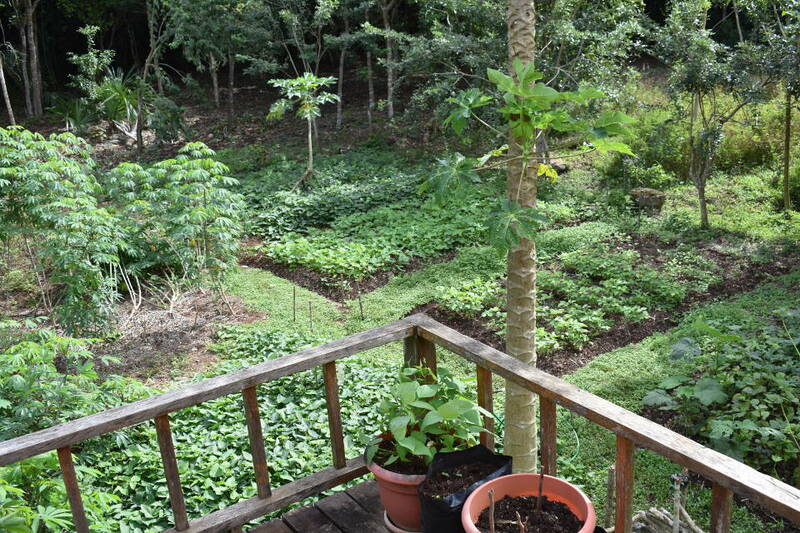 Fruit — The 5 year old plantain patch and 2 year old banana patch produce at regular intervals. The oldest avocado tree also produces fruit. The cropping area has been extended during the year with access paths around it. Garden Tree Trail. With the help of a local plant expert, work has been undertaken to catalogue some of the trees on the Retreat. 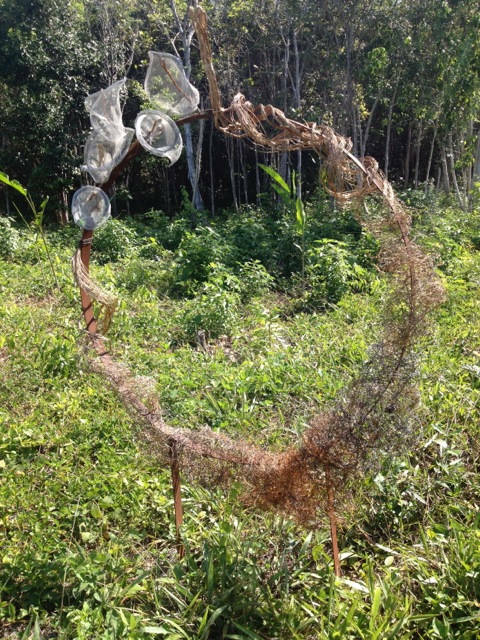 A trail to view named trees is in the process of being created. Photographs. Support was offered to the House of Culture by taking photographs of the walk HoC organised around the newly signed historic buildings of Corozal. Solar advice. Advice given to Jacob`s Farm Rehabilitation Centre on a solar installation for blowing air into an open air fishpond at night to keep the algae alive. Maya Mound Site. Regular maintenance undertaken to keep the site clear of undergrowth. Prof Fred Valdez from the University of Texas in Austin visited on 13th May with 3 post grad students. He showed great interest in the site and was going to seek approval from the local Institute of Archaeology to investigate the site. Sadly, he later advised that he would not be able to progress this. Prof Valdez also met with local Satsangees interested in exploring and preserving Maya culture. An Archaeologist from the USA visited to look at the pottery and glass pieces found on the Retreat. Over 60 people attended the Annual Open Day on Sunday 29th January — informing people of what the Retreat has to offer. Meditation. Meditation groups are offered on Saturday and Sunday. Early morning meditations are available for any guests to join in. A longer meditation session held every 2 months was discontinued during the year. A Women’s Spiritual Book Group meeting every 2 weeks began in October. As well as local visitors to the property there were visitors from the US, Canada and the UK. The website was revamped and went live in October. A Slide Show has been created to show you around the Retreat and its environs. 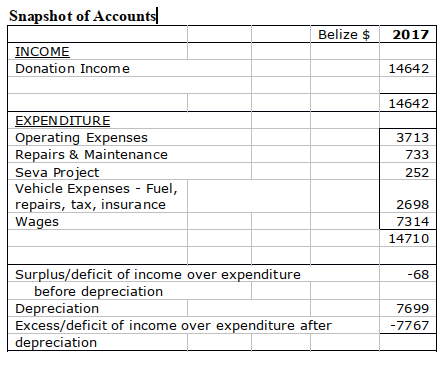 Printed from https://gatewayretreatbelize.org — Annual Review 2017.